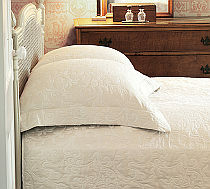 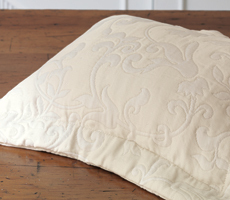 Nancy Koltes Linens Napoli Coverlets & Shams - Swatches may be available. 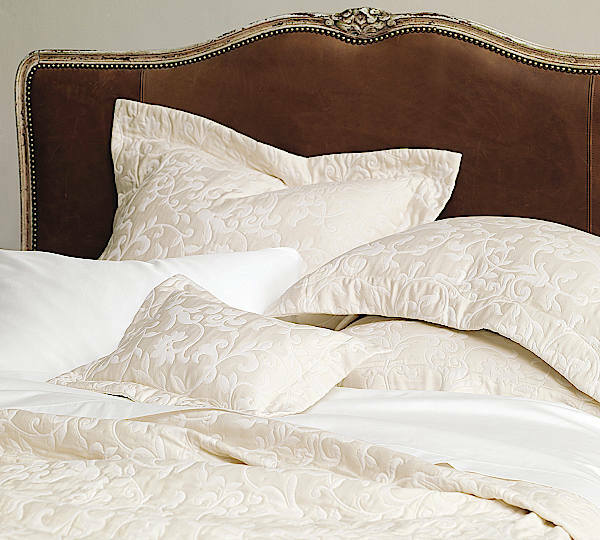 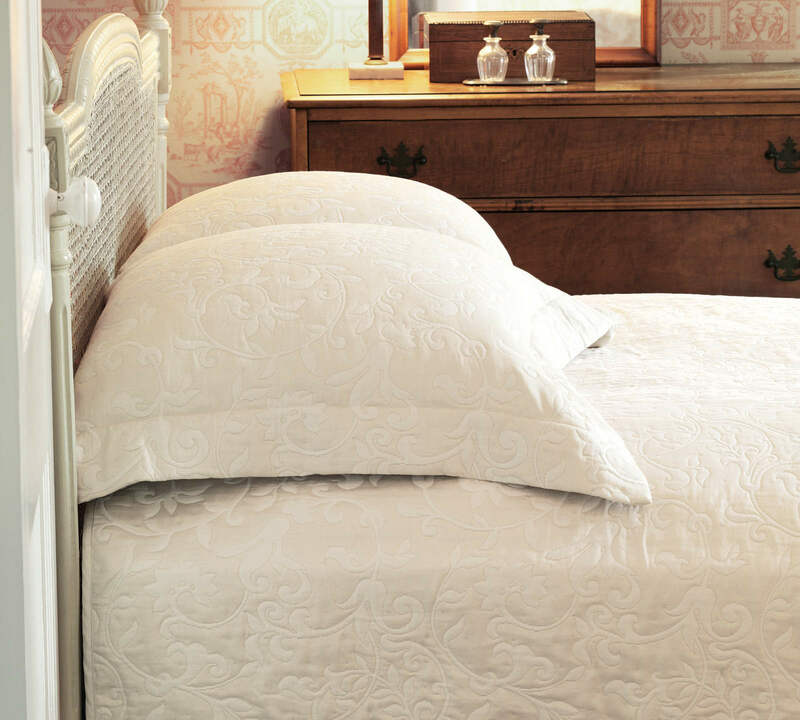 Napoli coverlets and shams combine a very traditional Italian damask motif with a touch of lurex woven into the weft to give the design of this luxury bedding a unique bit of sparkle and bling. Simple and elegant in its design, Napoli balances wonderfully with several of our luxury sheeting collections such as Vanity, Newport and Luxor Sateen.